Steve Jobs is known for replying back to his emails. He actually takes time going through the thousands of emails that he recieves and writes back to them! A few things that Steve Jobs has revealed via his email replies. Steve Jobs is now suggesting that Blu-ray is a dying technology. He was seen to first quote back in 2008 that the Sony-controlled Blu-ray was too controlled and licensing the technology was very complex to work with. 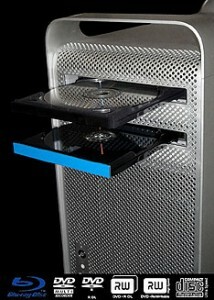 Now he indicates that Apple might not adopt Blu-ray into its computers. Jobs might does seem to make sense, MP3 took over the market and super audio CD and dvd-audio were eliminated almost completely. Jobs’s focus is on downloaded high quality content rather than depending on a disk. Apple seems pretty strict about how it works with Blu-ray. Blu-ray is almost a standard for many other manufacturers but Apple has not yet put them into their Macs. Even worse you can’t even buy an add-on drive to read Blu-ray discs because the Apple OS won’t control them. Next A car for the blind by next year!